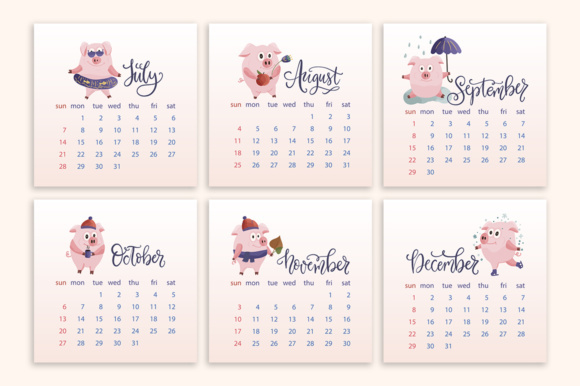 A beautiful calendar to start the new year! 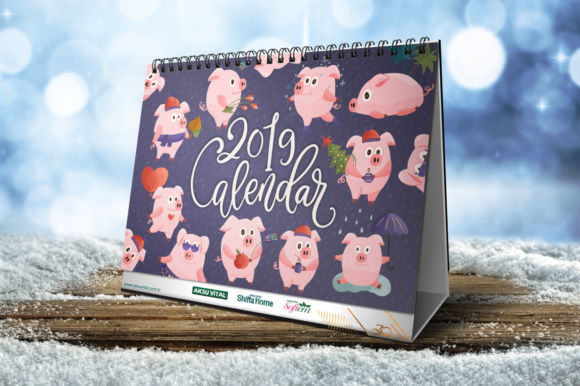 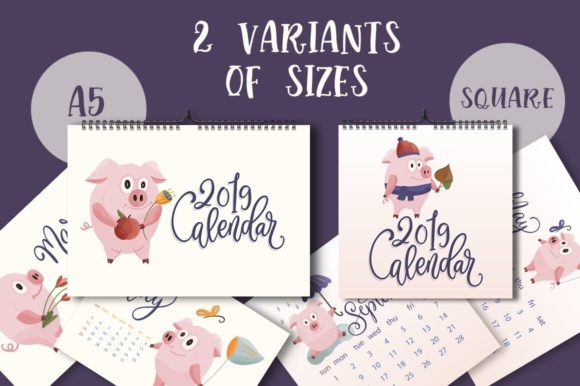 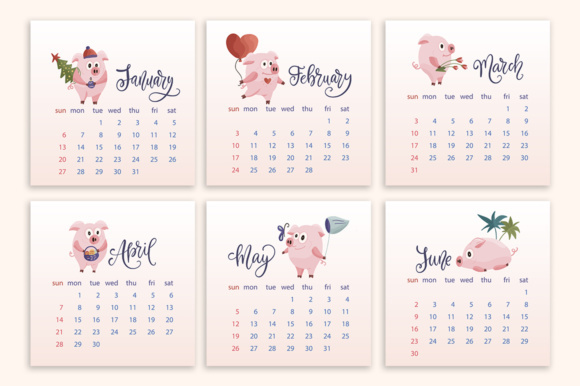 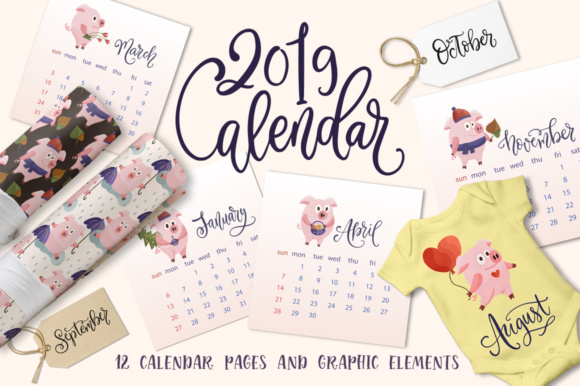 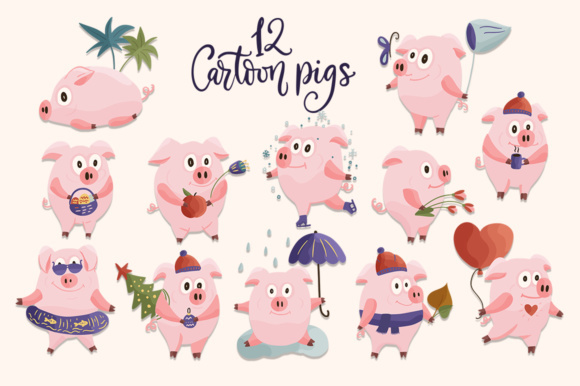 The 2019 Calendar in 2 sizes with cute cartoon pigs is a cute pack of 12 square ready pages in EPS, JPG and PNG. 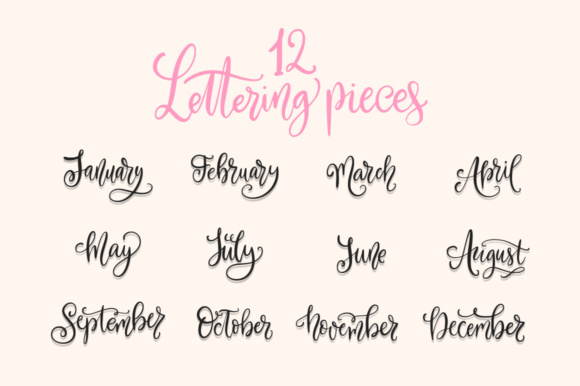 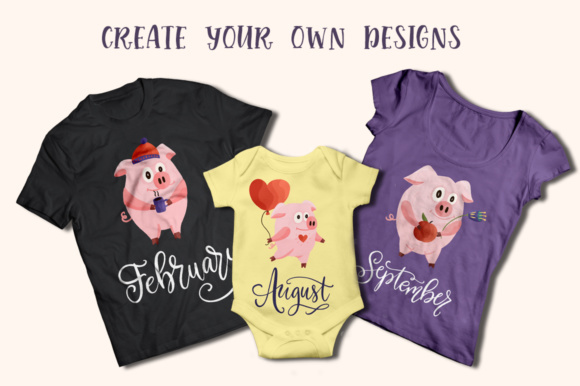 You will also receive 12 lettering month names and cartoon pig illustrations to create your own designs, not even calendars. 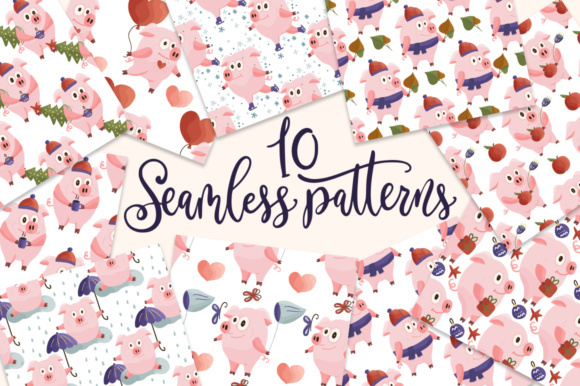 Bonus: you will also 10 seamless patterns with hand drawn color pigs.